Lock in a great price for Rinjani Lighthouse - rated 9.3 by recent guests. Amazing place with great atmosphere, good food and very friendly staff. Views in the morning on the summit of the volcano are just stunning. 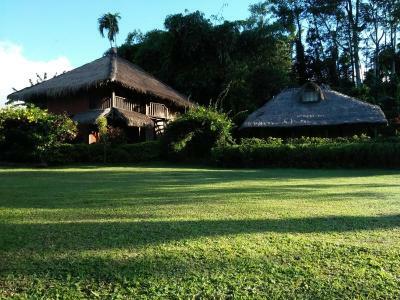 It's also in a close proximity to the Rinjani park and two amazing waterfalls. Our chalet was nice, clean and cozy. Overall great experience. Staff can help you in arranging Rinjani trek, transfer from the airport etc. Relaxed family atmosphere providing a welcome break from the hubbub of bali lombok. Staff provided great advise. It is a serene natural place at bottom of mount rinjani where a beautiful German host takes care of their guests like their family members. The room was very clean, bed was comfortable and staffs are very generous and always willing to help. Also food is very tasty here and when you have your dinner or breakfast open to sky.. One special thing that I am truly grateful to the host - it was my wife's birthday and wanted to make a surprise party for her. I expressed my wish to the host and he immediately gave instruction to arrange a nice cake for the occasion. And just before midnight when the staff came with the cake we are really amazed to see how artistically the decorated it with flowers and candles. It was a best memory of our whole trip ! Beautiful location, friendly owner and staff always helpful. Room with balcony was nice with large bathroom and hot water. Beautiful garden, family atmosphere, good breakfast, helpful hosts and staff, comfy bed, nicely decorated room with balcony, hot shower. 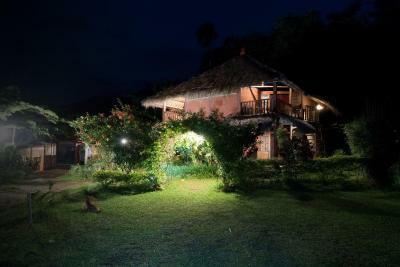 We stay 2 nights in Rinjani Lighthouse's bungalow. We've experienced perfect and wonderful days there. The rooms are really clean and comfortable. Rinjani lighthouse is located in really peaceful environment. The view from the garden is marvelous. Ari and his family are really warm and friendly and Rinjani Lighthouse's staff are really nice and helpful. Lovely setting with kind and helpful staff. Good breakfast. Would recommend it for anyone considering Senaru as part of their holiday in Lombok. All help to organise activities from the staff. Perfect lokation for trekking to Rinjani. Welcoming and friendly atmosphere. A wonderful place to let your soul dangle, to experience nature and to discover its diversity. Very friendly and always helpful staff. Delicious Food! Ari the boss also always has an open ear when looking for help or ideas for the activities in the area. Ideal starting point for the tours on the Rinjani. Very nice, clean and authentic place. Starting point if you want to trek Rinjani. Very friendly staff! One of our bestsellers in Senaru! Situated in Senaru, Rinjani Lighthouse offers a garden. Free WiFi is at guests' disposal. 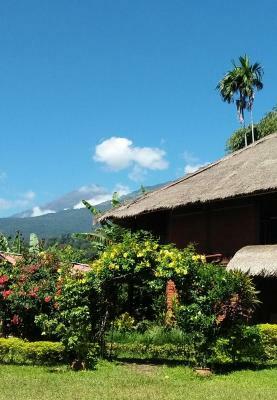 Gili Trawangan is 24.9 miles from the inn, while Tanjung is 17.4 miles from the property. 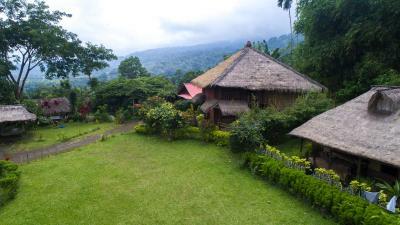 This property also has one of the best-rated locations in Senaru! Guests are happier about it compared to other properties in the area. This property is also rated for the best value in Senaru! Guests are getting more for their money when compared to other properties in this city. Rinjani Lighthouse has been welcoming Booking.com guests since 26 Oct 2017. When would you like to stay at Rinjani Lighthouse? This double room has a seating area, private entrance and garden view. House rules Rinjani Lighthouse takes special requests - add in the next step! Fantastic place. Beautifully done up. 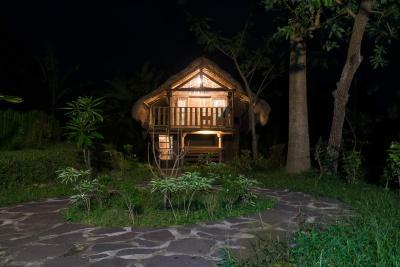 Very comfy tree hut with comfortable bed and mosquito net. Lovely outdoor shower room, a choice of three seating areas in my own hut, balcony with bean bags, hammock under the hut or a seat/desk area. spectacular view from the balcony. Beautiful property, homy, well maintained, serene, clean and comfortable. 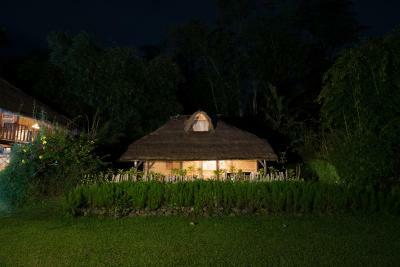 Great place to spend a night or more before/ after trekking Mt Rinjani.